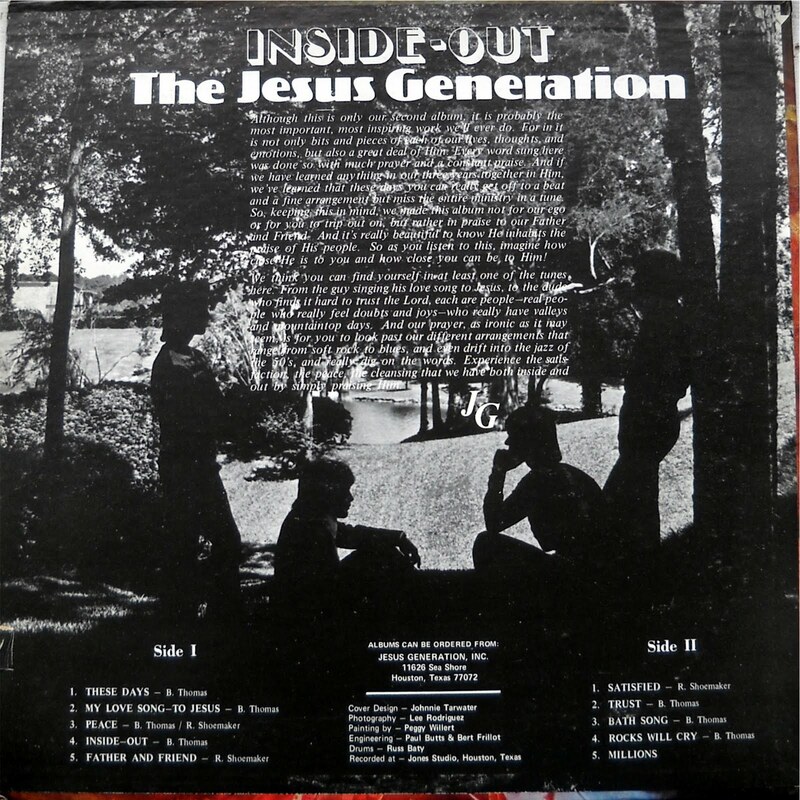 Inside Out (JG Records 10685) 1972? 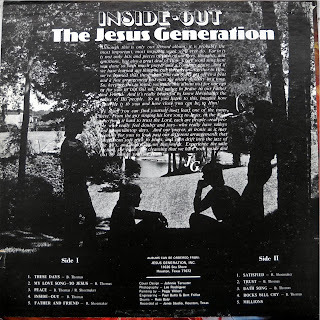 Ken Scott in his review of their earlier Lp says to avoid this as Gospel, well it is kind of. Some pop numbers and a super cover, got to give them an A for effort. Some of the harmony reminds me of Love Song with lesser instrumentation. 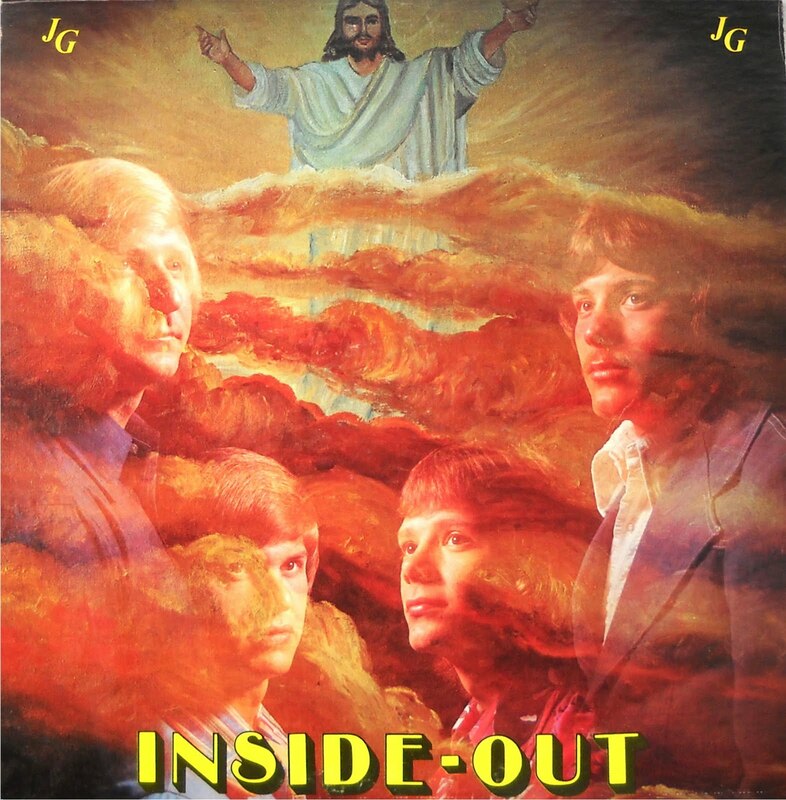 It is mentioned with their other album in (The Archivist by Ken Scott, 4th Edition). Thank you for this nice 'HippiejesusPeople-worshipalbum. I will hear it again in my time of worship. Thanks for all the great rare music.